Definition at line 144 of file dde_private.h. Definition at line 146 of file dde_private.h. Referenced by DdePostAdvise(), DdeReconnect(), WDML_AddLink(), WDML_FindLink(), WDML_GetLocalConvInfo(), WDML_HandleIncomingData(), WDML_RemoveAllLinks(), and WDML_RemoveLink(). Definition at line 148 of file dde_private.h. Referenced by DdePostAdvise(), DdeReconnect(), WDML_AddLink(), WDML_FindLink(), WDML_HandleIncomingData(), WDML_RemoveAllLinks(), and WDML_RemoveLink(). Definition at line 145 of file dde_private.h. 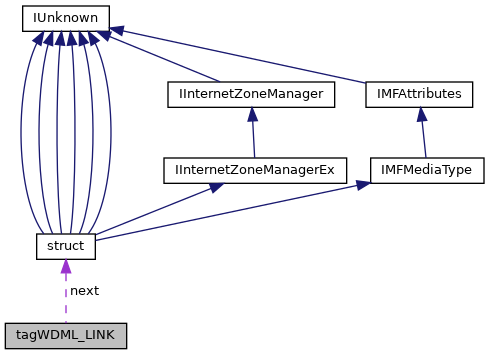 Referenced by DdePostAdvise(), DdeReconnect(), WDML_AddLink(), WDML_FindLink(), WDML_GetLocalConvInfo(), WDML_RemoveAllLinks(), and WDML_RemoveLink(). Definition at line 147 of file dde_private.h. Referenced by DdePostAdvise(), DdeReconnect(), WDML_AddLink(), WDML_HandleAdviseReply(), and WDML_ServerHandleAdvise(). Definition at line 149 of file dde_private.h. Referenced by DdePostAdvise(), DdeReconnect(), WDML_AddLink(), WDML_FindLink(), WDML_HandleIncomingData(), and WDML_RemoveLink().